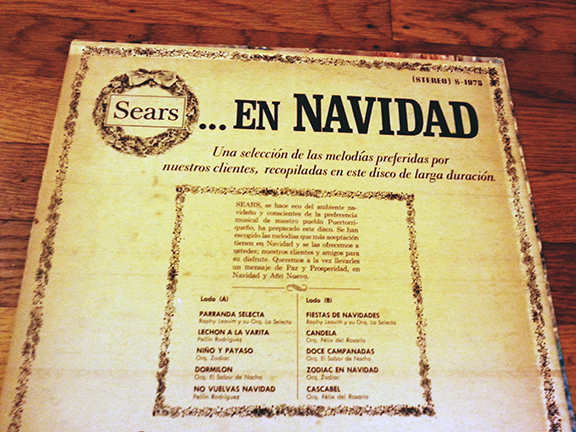 Sears, the U.S. everything store that everyone used to shop at for Christmas. Back in the 1970’s they were the Walmart, Target and Ikea all rolled into one. I’m guessing U.S. followers of this blog probably didn’t wrap any gifts this year purchased from the once giant retailer. However, in 1974 if someone would have bought this Sears record from one of their many stores to give to you for Christmas I think you would have been as pleased as anything you received this year—or at least I would have been. 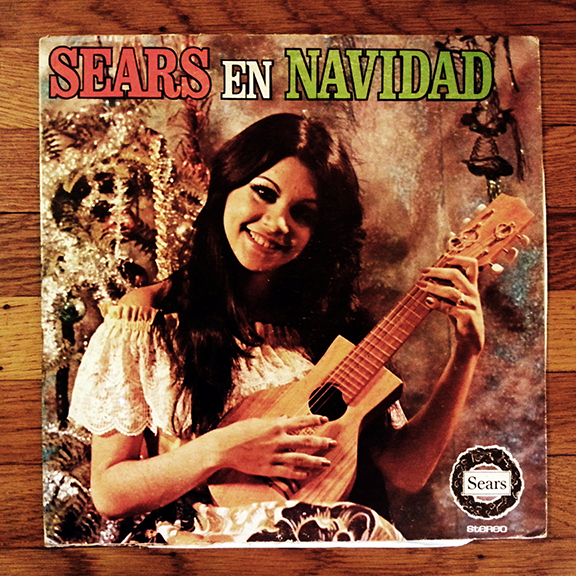 What makes this record so great is that it’s NOT full of Christmas carols that you know and hate—rather it’s a collection of Puerto Rican artists from the Borinquen label performing the type of Christmas music we love and need more of. Oddly they made this a “live” record by inserting crowd applause between tracks though the recordings are normal studio songs. Nonetheless, it’s full of beautiful bailables to dance to because that’s what the holiday season is all about—celebrating with good food and music right? I hope this proves that some of the best gifts are not always shinny new ones and that there’s no better time to dance. This entry was posted in PELANGA RECORDS! and tagged Orquesta Felix Del Rosario, Pellin Rodriguez, Perico Ripiao, Raphy Leavitt, Salsa by Jacobo (DJ Pozole). Bookmark the permalink.